The Working holiday visa Canada provides amazing opportunities to young people to hone their talents because they get chance to work in Canada. It takes a time of 8-12 weeks for this visa to be issued. And once the candidate has received this visa, it can be used till a time period of 1 year. Working Holiday: Under this category of visa the concerned Australian citizen can work with different employers after seeking employment in Canada after he reaches there on the visa. So, the candidate does not disclose at the time of getting his visa, who his employers are going to be. This way by earning money through jobs, he can finance his holiday in Canada. This visa is only available to residents of those countries who are under an alliance with the International Experience Canada. The duration of this visa is 2 years. Young Professionals: The 2nd category of this visa is the Young Professionals under which employer-specific work permits are provided. Under the Young Professionals, the category of this visa class, an Australian citizen must work with a single employer and needs to show his letter of employment. The candidate’s state under whom they are going to work before getting the visa. The candidate who gets this visa under this category cant work for any other employer except for the one whose name he has stated at the time of visa application. Under this kind of visa, an employer must meet the statutory conditions of minimum wages which are applicable to any kind of work permit. Apart from that, the profession of the candidate should comply with the profession types, 0, A, B and C as stated in the NOC of Canada. International Co-op: Under the third category of International Co-op applicable for this visa Canada, the candidate again gets a work permit which pertains to only a single employer. The candidate who is an Australian citizen must be enrolled for education at a tertiary institution and should be getting this visa to serve an internship(12 months) as a part of the curriculum. Again, a contract of employment should be shown at the time of applying for the visa. And also, the three skill levels of A, B,C and 0 are valid for this category of working holiday visa Canada. The wages for the intern should be as per those paid for the same profession as per the labor laws prevailing in the Canadian province where he is going to serve his internship. His internship will also follow all the labor standards applicable to such employment in the concerned province. 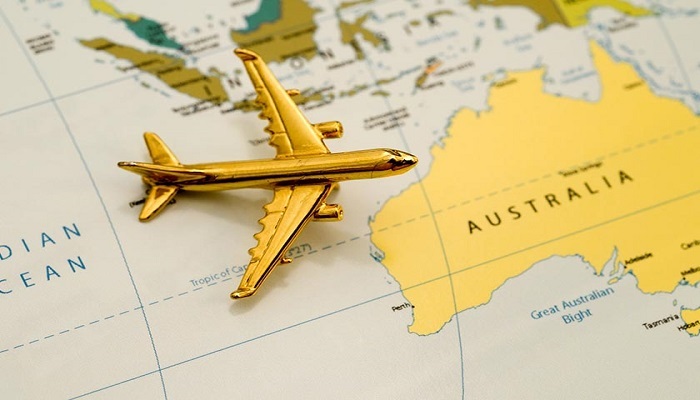 For Australian citizens, this visa class is applicable in all the three categories, Working Holiday, Young Professionals and the international(co-op) category. The Australian citizens should have 2,500 CAD to show that they won’t be dependent on the government allowances during their stay in Canada. The age of an Australian citizen who wants this visa for any category be between 18 to thirty years. The citizen can only come to Canada alone on this visa and not get any dependent, into this country. Apart from that, a round-trip ticket to and from Canada is also needed as an evidence to prove that the concerned temporary immigration candidate has the money leave this country once the duration of the visa is complete. The concerned Australian citizen looking to temporarily immigrate under this visa class should have health insurance up to the amount enough to cover any illnesses that might arise during his stay in Canada. The process of application for this visa consists of creating an account and getting entry into one of the categories under all the three applicable for this visa under the IEC. You need to make an online account on the website known as. Then the candidate needs to pick the category of “International Experience Canada”. The candidates who add all the details about themselves, regarding their identity and their country of citizenship obtain a reference code after their IEC profile has been created. How Does a Startup Visa Work in The USA?